Stunning and well maintained home in Spring Lake Estates! 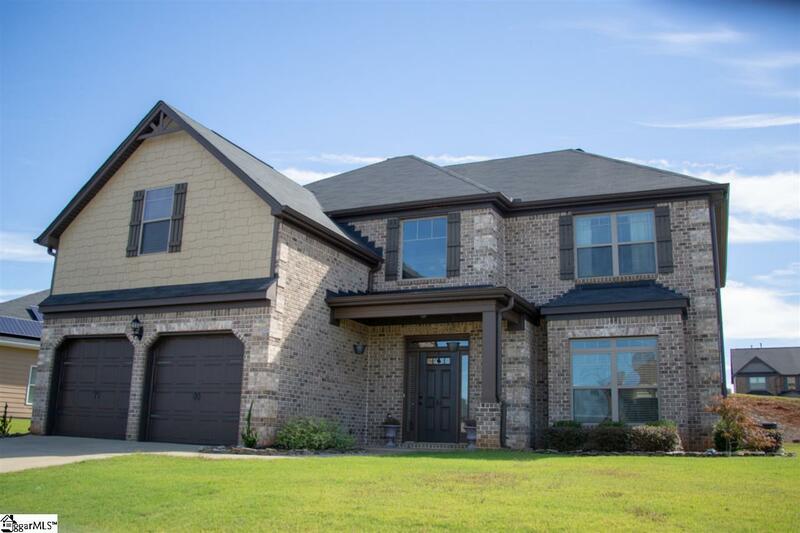 Hardi-shake accents on the front exterior give the home a high end look! 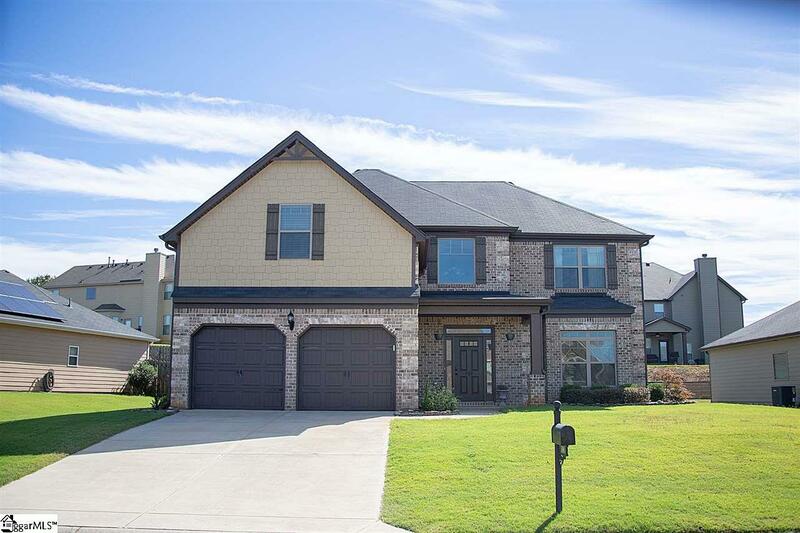 Stunning and well maintained home in Spring Lake Estates! District Five Schools with an amazing location in between Greenville and Spartanburg! 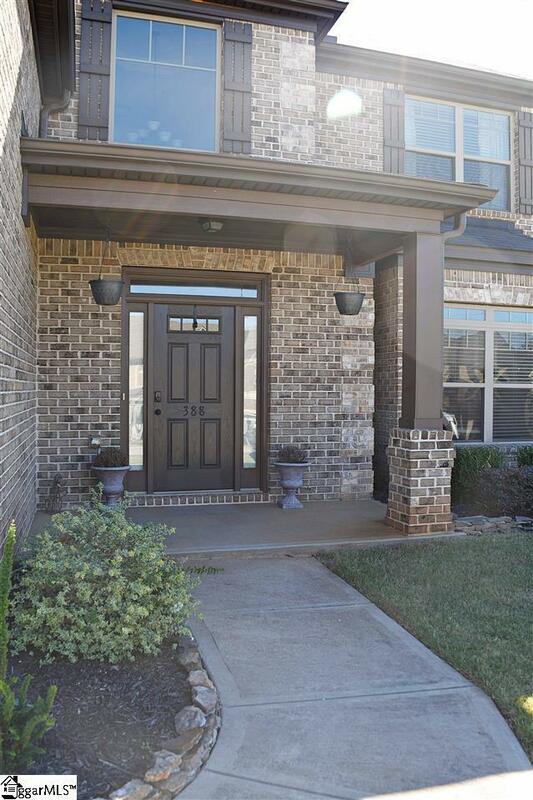 Easy access to I-85, Highway 80, close to great shopping and restaurants! Covered front and rear porches. 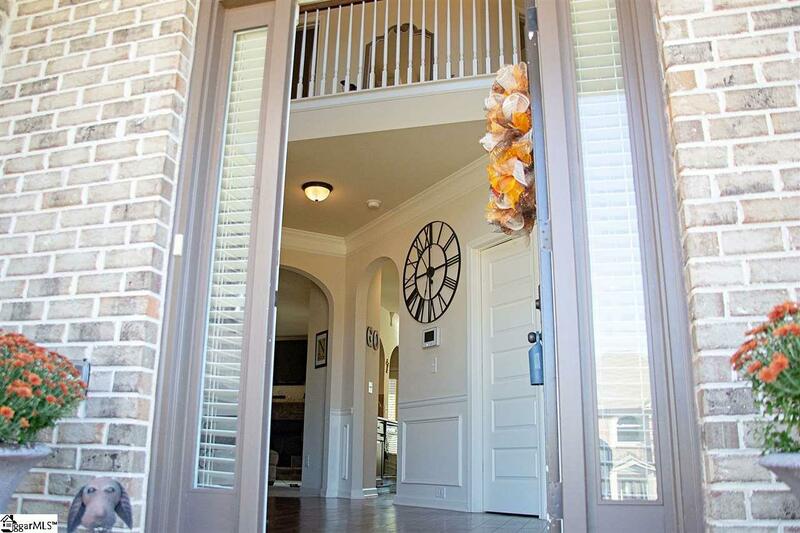 You enter into the grand two story foyer with handscraped hardwood floors and trey ceiling accent! A large powder room is located just off the foyer. The traditional but open layout gives you a formal living room and dining room with crown molding, wainscoting, and coffered ceilings in the dining room. Then, you have large kitchen with arched openings looking into the cozy den with wood burning (gas starter) fireplace! The gourmet kitchen is a cooks dream: gas range, pantry, island, large breakfast space with bay window, pendant lighting, showcase cabinets, stainless steel appliances, and granite tops! A door from the living room leads to the covered rear porch which is a perfect place for entertaining and back yard get togethers. All rooms in this home are exceptionally sized! The four bedrooms are upstairs, and all have soaring vaulted ceilings. This master bedroom is the biggest one you will find! The master bath has double doors leading into it, his and hers vanities, soaking tub in between the vanities, and large walk in closet! A walk in laundry room is located conveniently upstairs. A low maintenance brick and hardi-plank exterior will keep this home looking beautiful for years to come! In the summer months, you will enjoy the community swimming pool and love the well kept appearance of the entire community! So much square footage for the money! Come see why people love the Lyman community! Home qualifies for 100% USDA Rural Financing. Ask listing agent about other special financing opportunities on this home!